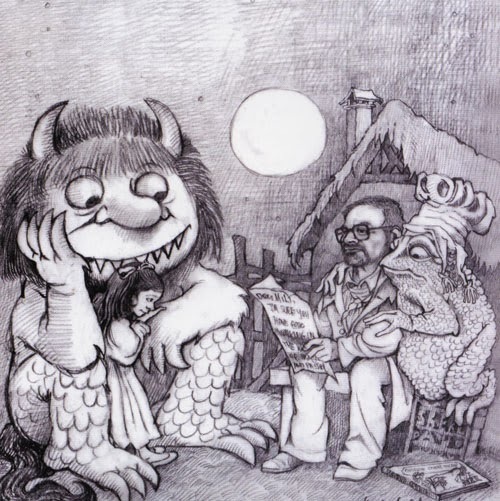 Maurice Sendak is just the most amazing man. This is what he says about his illustration, once again taken from brainpickings. "If I have an unusual gift, it’s not that I draw particularly better than other people — I’ve never fooled myself about that. Rather it’s that I remember things other people don’t recall: the sounds and feelings and images — the emotional quality — of particular moments in childhood. Happily an essential part of myself — my dreaming life — still lives in the light of childhood."